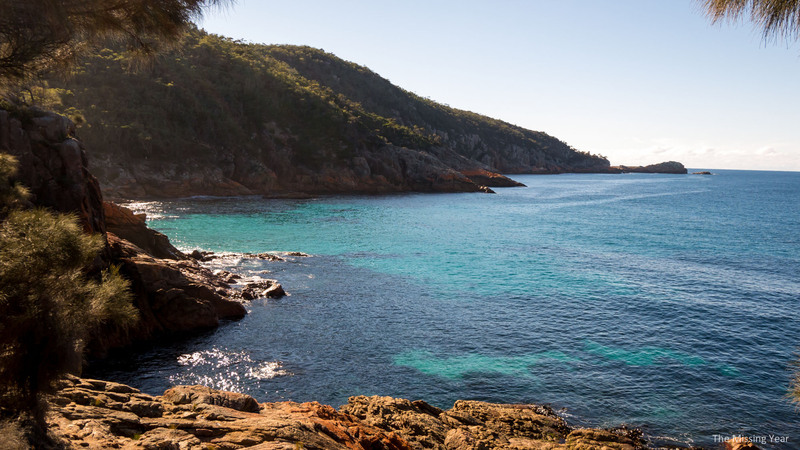 Next was Cape Tourville, where we hiked up to the lighthouse and enjoyed beautiful views back towards Wineglass Bay. 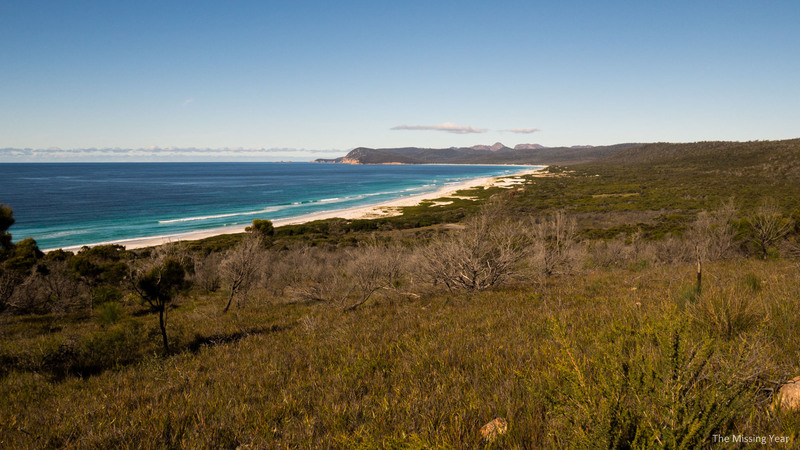 If you look closely you can make out the sandy beach of Wineglass Bay just right of center. Then we headed off on a very rough road and visited the Friendly Beaches, from up above. The road was getting pretty rough for our little go-kart rental (actually a pretty decent Hyundai), but we got a great view from above. 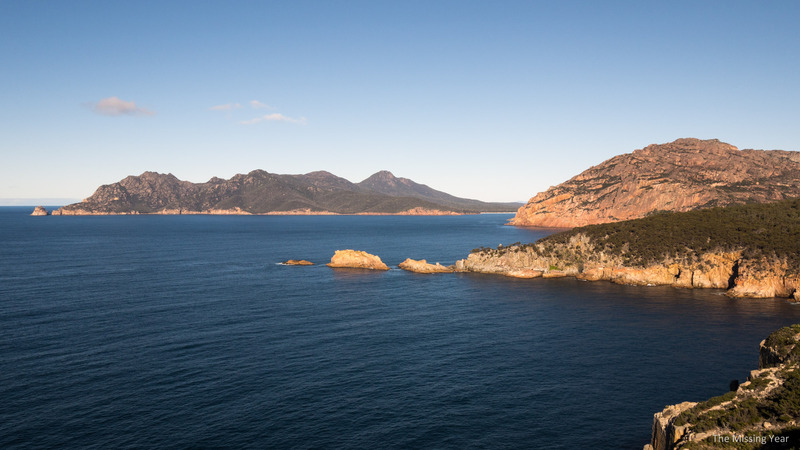 Who knew Tasmania had such great beaches! We then headed inland and south. 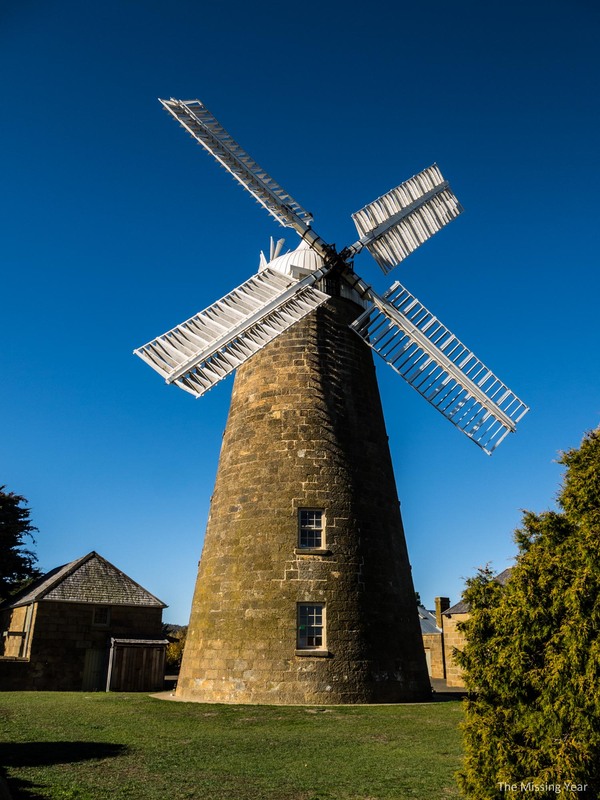 Rather than repeating the (not very) coastal road back to Hobart, we took the more inland Convict Trail / Highway 1, which included short detours to several historic villages and buildings, including this windmill in Oatlands. A big structure and fun to look at for a few seconds, we actually stopped here for another reason. Awesome crepes! Yum. 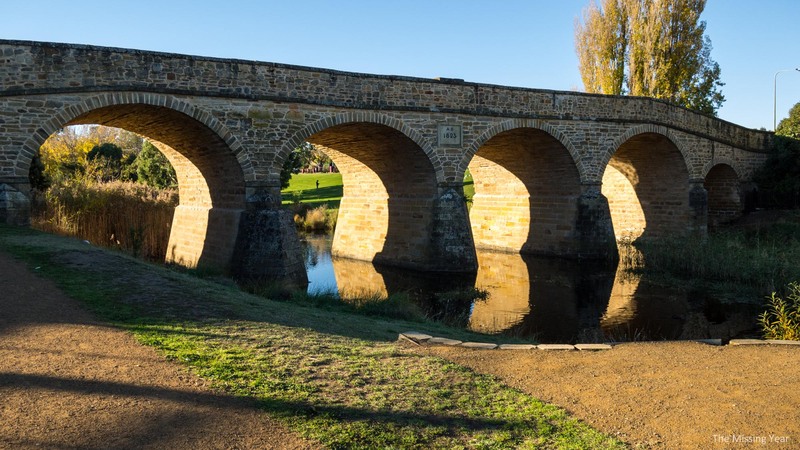 Then it was on to the historic town of Richmond, with the famous Richmond Bridge. 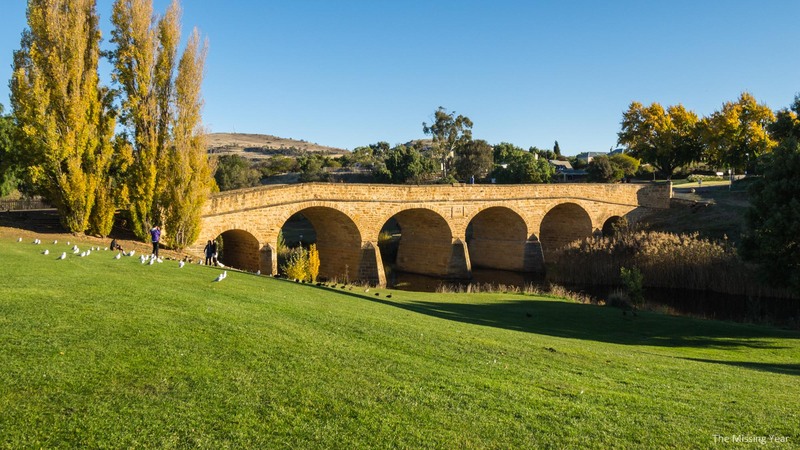 Famous mostly because it’s the oldest bridge in Australia still in use. Built by convict labour in 1825, it’s been here a while. Though nothing too spectacular to see, Richmand was pleasant for a stroll. 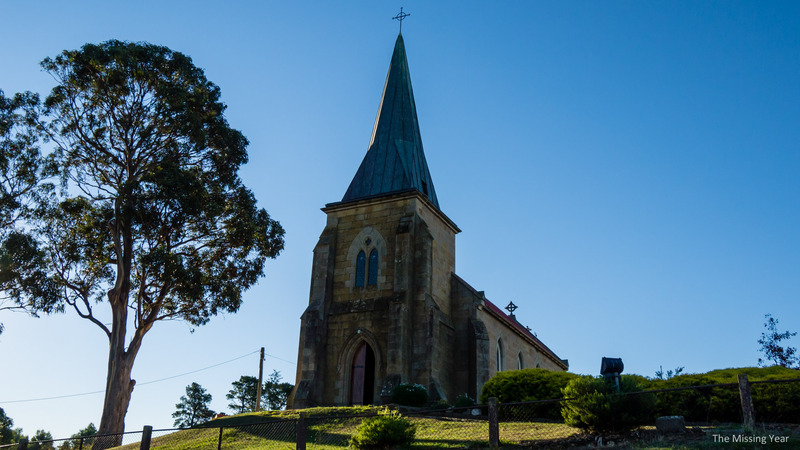 W also found a cute little church on the top of the hill near the bridge.